Day 3 of the Snopocalypse. A 5:30am phone call announced that school was canceled due to icy road conditions. The Webmaster, who had worked from home Monday, but managed to get to work Tuesday, had to come home when NO BUSES SHOWED UP at the park & ride. The sun was out, so I bundled Thumper up and took him outside for some play time. In other words, I got a cardio workout before having Ane take over. The roads around our house, though, weren’t too terrible. So I took Tad to get a haircut and go shopping. We hit Costco and Target, getting a few essentials. The weather report is starting to say there might be more snow this weekend. And we brought home Costco pizza from the food court, which made everyone happy. School is going to be two hours late start tomorrow, but IT HAS TO HAPPEN OR I WILL LOSE MY MIND. 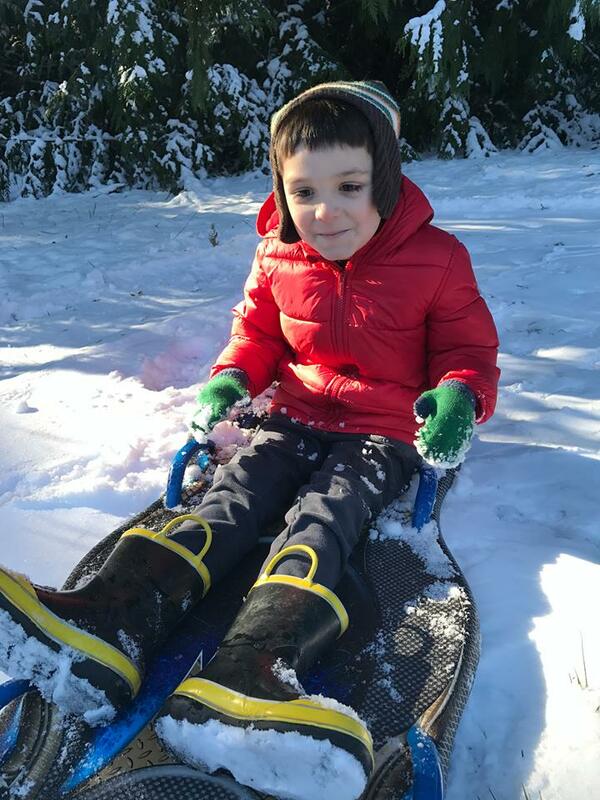 This entry was posted on Wednesday, February 6th, 2019 at 8:43 pm	and is filed under Children, Life in the Pacific Northwest.